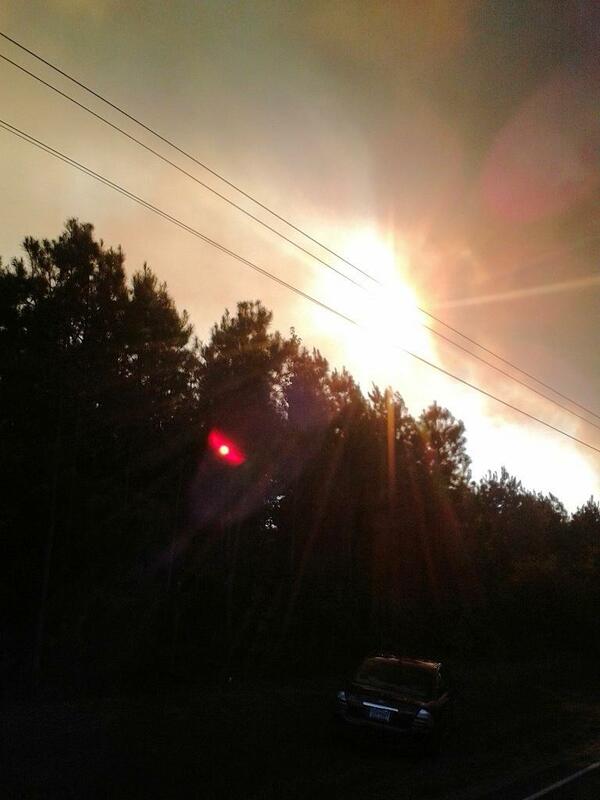 UPDATE: Fire Contained, SEGNO, September 9, 2012 - The woods fire that broke out near Segno has been contained. There are however hot spots that are being monitored. 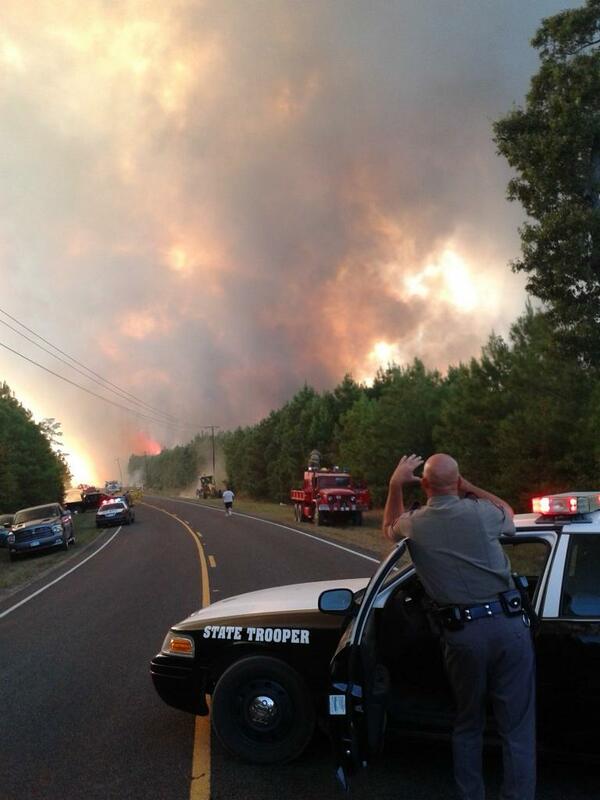 There were a total of 204 wooded acres burned, and 2 abandoned structures. No evacuation was ever executed. 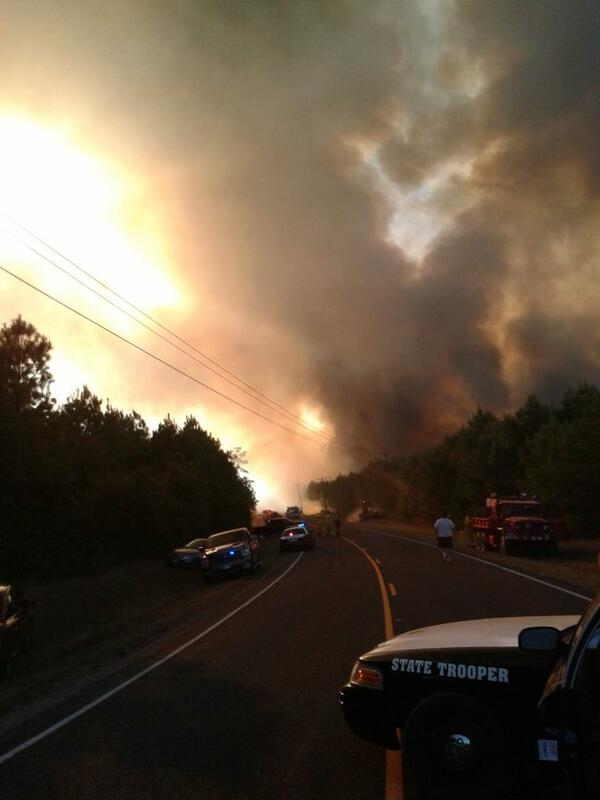 A total of 15 East Texas volunteer fire departments battled the blaze. Nobody was injured or killed. Other organizations that contributed in the operation were: Polk County Sheriff's Office, Texas Department of Public Safety, Constables, and the Texas Forest Service. 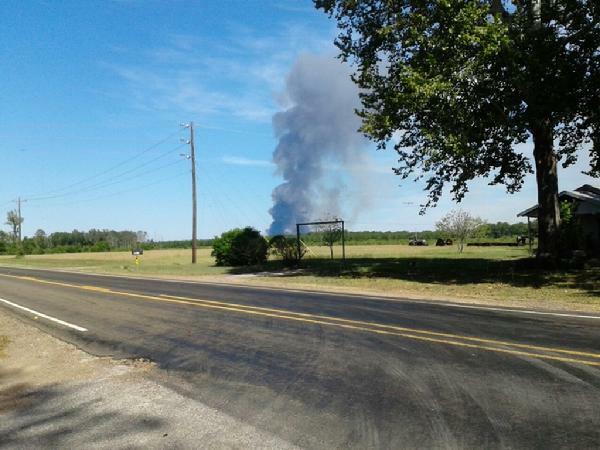 A large plume of smoke could be seen from miles away Sunday afternoon. Approximately 300 Acres So Far, Large Woods Fire Attracts Multiple Fire Departments, SEGNO, September 9, 2012 - A woods fire that has burned approximately 300 acres (so far) is being fought by about 10 East Texas fire departments. The fire started on the afternoon of September 9 and has escalated. The location is the Segno area in the vicinity FM-943 and Menard Chapel Road. A large plume of smoke could be seen from miles away. VFDs from Livingston, Goodrich, Onalaska, Scenic Loop, South Polk County, Alabama Coushatta, Indian Springs, North Liberty County,and more are on the scene with crews. No evacuations have been ordered, but locals have been alerted to be ready in the event that an evacuation is necessary. As far as destruction to homes, reportedly, there has been one abandoned mobile home and an old barn. We'll post updates as they come in.